London: Oil prices rose on Tuesday amid supply cuts by producer club, the Organisation of Petroleum Exporting Countries (Opec) and Russia, although a darkening economic outlook may soon weigh on growth in fuel demand. Brent crude oil futures were at $59.47 (Dh218.25) per barrel at 0950 GMT, up 48 cents, or 0.81 per cent, from their last close. US West Texas Intermediate (WTI) crude futures were at $50.92 per barrel, also up 0.81 per cent, or 41 cents. “Opec-led cuts and declining US rig counts have bolstered market sentiment in the new year,” Singapore-based brokerage Phillip Futures said. Opec and its allies, including the world’s number two producer Russia, agreed in late 2018 to cut supply to rein in a global glut. In the United States, the number of rigs looking for new oil production has dropped from a 2018 peak of 888 to a still-high 873 in early 2019. Meanwhile, the United States last November reimposed sanctions against Iran’s oil exports. Although Washington granted sanctions waivers to Iran’s biggest oil customers, mostly in Asia, the Middle Eastern country’s exports have plummeted since. 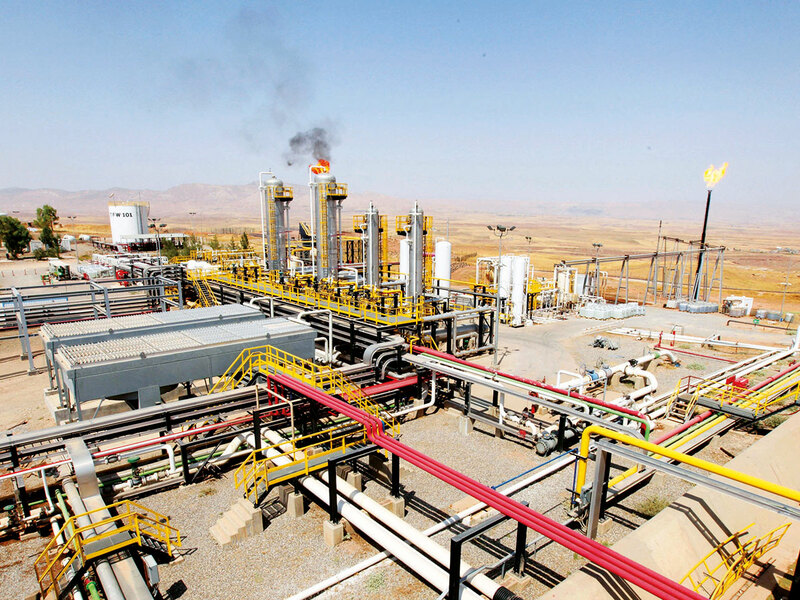 However, Japan expects to restart oil imports from Iran as early as this month, the Nikkei business daily reported on Tuesday, with some Japanese banks notifying customers they will resume transactions for oil purchases. On the demand side, an economic slowdown continues to loom over oil and financial markets. The gains in crude futures on Tuesday came after losses of more than 2 per cent the previous session as weak Chinese trade data pointed to a global economic slowdown. China’s National Development and Reform Commission on Tuesday signalled it may roll out more fiscal stimulus to stem any further decline in growth. HSBC said it was cutting its average 2019 Brent price forecast by $16 per barrel, to $64 per barrel, citing surging US production and an “increasingly uncertain demand backdrop”.